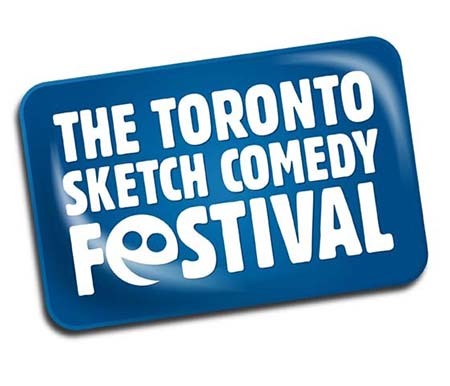 Over the past 10 years the Toronto Sketch Comedy Festival has been a staple of the Toronto comedy calendar, showcasing up and coming acts and veterans troupes alike for ever increasing audiences. Since its humble beginnings as the brainchild of Julianne Baragar and Paul Snepsts with 15 troupes at the Gladstone Hotel, the festival has grown by leaps and bounds, to the point where last year the Kids in the Hall performed a live stage reading of their cult film Brain Candy to a massive audience. With this year being their 10th Anniversary, Sketchfest has set up a killer lineup of headliners and possibly even more exciting for sketch comedy aficionados, the Sketchrospective series showcasing festival favourites from the past ten years, some of whom are reforming for the festival. “It’s always been important for us to shine a light on what’s going on in Toronto and make the audience pay attention to sketch comedy for a couple weeks a year and get really excited about it because there’s so much talent here.” This was one of the first things Julianna Snepsts said in an interview with me earlier this week alongside her husband and Festival Co-founder Paul, and from the lineup of Sketchfest it’s clear she means it. With over 40 Troupes performing in the Festival Series throughout Sketchfest’s run, there’s no question that Toronto isn’t lacking in scripted comedy troupes. This year features such acts as The Beaverton Live, bringing Canada’s online satirical newspaper to the live stage, the geek-oriented comedy of Beggars Canyon and the 2013 Canadian Comedy Award winning Rapp Battlez. Of course the highlight of the Festival Series is the Best of the Fest event which will take the top shows and pit them in a Thunderdome-esque battle of comic supremacy with the winner being awarded a television development deal by Bruce McCulloch in partnership with Accent Entertainment. No matter what your tastes, the Festival Series is going to be hard to miss. An amazing Festival Series wasn’t enough for Sketchfest this year however and to celebrate its 10th Anniversary the festival is putting on their Sketchrospective Series, bringing back favourites from past years to join in the festivities. From the Boiled Wieners, the sketch troupe that both Julianne and Paul were part of when they founded the festival to The Sketchersons celebrating their 10th straight year performing in the festival (the only troupe still maintaining such a streak) there’s a wild and varied cast ready to take audiences on a trip through memory lane. Probably one of the most exciting things about the Sketchrospective Series is that it features groups that have reformed for the festival, with groups like The Somethingorothers, The Williamson Playboys, the Dance Party of Newfoundland and aforementioned Boiled Wieners making what could be “One Festival Only” performances that make them an exciting opportunity to see something that might never happen again. It’s not just seeing resurrected troupes however. Falcon Powder, The Templeton Philharmonic and others will be appearing in the Festival Series and reminding audiences what made them such memorable members of the Festival in the past. Whether it’s a new experience or revisiting an old favourite the Sketchrospective can’t be missed. But wait! There’s more! Sketchfest has been able to sign 3 impressive headliners to the Festival who will each be performing multiple shows during the Festival. First off there’s Kate McKinnon of SNL fame who will be performing “An Evening with Kate McKinnon”, a mixture of stand-up, character pieces and video segments that will showcase the award winning comedienne’s range and humour. Next is Albuquerque’s Pajama Men, who are bringing their signature stream of consciousness narrative back to Toronto for the first time since 2006. An international hit with rave reviews in London, Sydney and Chicago their return to T.O. is an amazing opportunity to see the duo that influenced such groups as Uncalled For and Peter n’ Chris. Finally, making another appearance at the Festival after their hugely successful turn last year is The Irrelevant Show doing another live taping on March 10th. Don’t miss out on a chance to see the award winning radio show live and see what has made it a ratings powerhouse for CBC Radio. There’s so much more to Sketchfest beyond the different mainstage series. There’s also the Cabaret series which has multiple troupes performing at the Comedy Bar and creating a single sketch to fit a specific theme, from Law & Order to Christmas. Finally there isn’t just shows available at Sketchfest; the festival has made an effort to create a variety of workshops for artists both starting and veteran. From the Women in Comedy Mixer to Demystifying the Pitch there’s ample opportunities to network and hone ones craft and continue to create amazing comedy for the festival to shine a spotlight on. Sketchfest Runs from March 5-15th at various venues. Ticket prices vary according to show, see Sketchfest website for more details.